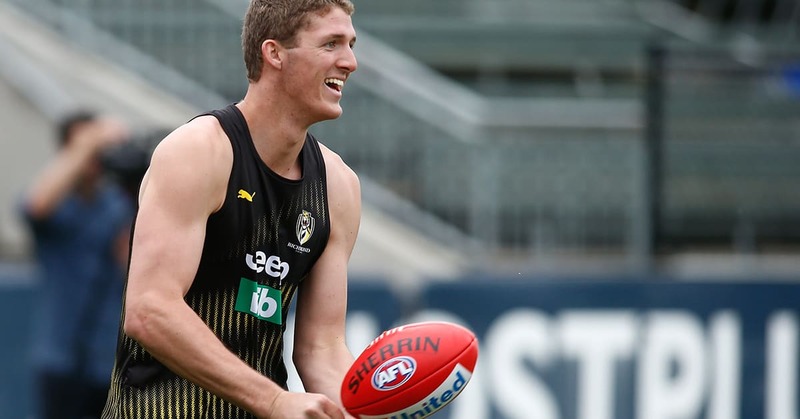 It’s fitting that Richmond recruit Ben Miller hails from the Western Australian gold-mining town of Kalgoorlie because the Tigers might just have struck gold with their late selection of him in the 2017 AFL national draft. Reminds me of Ben McEvoy. That wouldn't be awful. He is quick and agile. Is already a good size. Has performed well in WA junior sides. Question is can he build the endurance needed in the AFL. The answer would be in his desire to work hard. In this area l am looking at him travelling from Kalgoorlie to Perth weekly to play for WA. So confident he will do the work. Predicting this will be another late round draft pick success but we may need to wait for 2 or 3 years to fully know. I felt a touch of "it's too good to be true"
The feeling that has been washing over me since this years trade/draft period "have these guys nailed it again ?" When's the cricket season over ? ceehook, post: 1506669, member: 4642 Wrote: When's the cricket season over ? It was over before it started, once Richmond won the premiership. I'm a cricket fan but watched Richmond replays on FoxFooty instead of the first day of the 2nd Test. A 7-hour drive each way for Ben Miller to play for Subiaco Colts. That's dedication! Vines, post: 1506652, member: 5754 Wrote: Reminds me of Ben McEvoy. That wouldn't be awful. A little bit of a Jay Schultz look too. Yes, Miller shows hard work and determination. The drive and hunger to succeed. Jayden Short will have it too. He played 16 matches in the home-and-away season and was unfortunate to miss playing in the GF.